DAY 16 SUNDAY, MAY 18 FOURTH QUALIFYING DAY Lyn St. James is featured in Lifetime television's first women's sports special "BREAKING THROUGH: Women Behind the Wheel", which airs at 6 p.m. (Indianapolis time) Thursday, 10 p.m.
Lyn St. James is featured in Lifetime television's first women's sports special "BREAKING THROUGH: Women Behind the Wheel", which airs at 6 p.m. (Indianapolis time) Thursday, 10 p.m. Friday, 10 a.m. Race Day and 1 p.m. on Monday, May 26. The one-hour program is hosted by Geena Davis and profiles St. James along with Shirley Muldowney, Tammy Jo Kirk, Shelly Anderson, Patty Moise, Janet Guthrie, Christina Martin, Vicki O'Connor and Danica Patrick. Pat Abold won the Coca-Cola 100 USAC Silver Crown championship race Saturday night at Indianapolis Raceway Park. He was followed by Jimmy Kite and Jack Hewitt. Among "500" veterans, Davey Hamilton was sixth, Bentley Warren was 12th and Joe Gosek was 18th. Tom O'Brien, team manager and co-owner of Blueprint Racing's #72 entry to be driven by rookie Claude Bourbonnais said this morning that the team had to make extensive repairs to the rear of the car after Bourbonnais' accident Saturday. O'Brien said the bell housing, back of the engine, transmission, right side suspension, underwing and rear wing is all new. "The team's been up all night," O'Brien said. "They've done a good job. The team hasn't gone to sleep yet. If we get the third car in, it'll be worth it." Ken Dolak, a truck driver for Treadway Racing, was transported to Methodist Hospital this morning for examination of facial cuts and bruises and cuts on one hand suffered when a nitrogen tank malfunctioned on pit road this morning. Dolak was awake and alert, according to Dr. Henry Bock, Speedway medical director. Apollo 11 astronaut Buzz Aldrin and space shuttle astronaut Charles Walker were guests of Fred Klipsch of Klipsch, Lanham Investments (KLI) and PDM Racing in Gasoline Alley this morning. The #18 Klipsch-sponsored car driven by rookie Tyce Carlson carries a decal of the National Space Society, for which Dr. Aldrin serves as chairman. Walker, who went on three shuttle missions, is the society's president. Evergreen Entertainment, a subsidiary of KLI, has, as its first project, the publicizing of the NSS' major objective to build a low-orbiting space station and then a mission to Mars. The NSS has 25,000 members in chapters in the U.S., Canada and Australia. Klipsch spent four years in the space program (1964-68). BUZZ ALDRIN: "On behalf of the members of NSS, whose purpose is to bring public awareness the promises of space and let the public know what the space program has done and what it can do. Speed and guys like Tyce will get people's attention. My wife drives a red Porsche sports car and I drive a red Mercedes sports car. My license plate is Mars Guy" and hers is "Moon Gal." I was here after the Apollo moon landing as Tony Hulman's guest in the mid-'70s." Morning Practice Notes: 10:15 a.m. #97 Ray turned a lap at 212.907 miles an hour, fastest of session. 10:16 a.m. YELLOW, two squirrels on track, south short chute. 10:28 a.m. #34T Zampedri turned a lap at 213.716, fastest of session. #97 Ray turned a lap at 213.336, second fastest of session. 10:29 a.m. #72 Bourbonnais went through technical inspection after repairs from Saturday's accident. 10:32 a.m. The replacement #1 Conseco AJ Foyt Racing entry, being tested by already-qualified Davey Hamilton, turned a lap at 212.059, third fastest of session. 11:12 a.m. YELLOW, the squirrels returned. 11:14 a.m. #72 Bourbonnais goes on the track for first time since Saturday accident. Top speeds: #34T Zampedri 213.716; #97 Ray 213.685; #1 Hamilton 212.927; #7 Salazar 209.883; #51T Cheever 209.190; #9 Unser 207.235; #36 Harrington 205.526; #72 Bourbonnais 182.737; #42 Gordon 82.337 (warmup). At 12:00 p.m., the ambient temperature was 85 degrees and the track temperature was 114 degrees, according to Firestone tire engineers. Bumps non-exempt #34 Alessandro Zampedri. 12:17 p.m. Paul Durant climbs in the #1 Conseco AJ Foyt Racing entry to practice, Davey Hamilton standing by. 12:20 p.m. Crew fires car. 12:21 p.m. Durant rolls out for his first time on the track for the month. 12:29 p.m. Yellow, Durant comes to pits, Hamilton sits on front left tire to "coach." 12:33 p.m. Car fired again, Durant pulls out. 12:35 p.m. Durant turns lap at 210.025 miles an hour. 12:37 p.m. Durant to pits, A.J. Foyt and Hamilton talk to Durant, Johnny Rutherford also in pit. 12:39 p.m. Crew pulled off steering wheel, Durant climbs out of car. An errant tire rolled away from the pit, Durant goes over to retrieve it. At this point, Durant had 12 laps total. 12:43 p.m. Crew makes adjustments on front left corner. "We got it up to 210 and it felt pretty good," Durant said. "We're going to make a few adjustments and then go out and qualify. 12:45 p.m. Car pushed to tech line. 12:50 p.m. Car into tech line. "I just took the car out this morning and shook it down," said Davey Hamilton. "We got Paul in it. It's up to speed and they're just going to let him go." 12:59 p.m. Car into "box." 1:03 p.m. Engine fired. 1:04 p.m. Durant rolls away to qualify. 1:06 p.m. Durant takes green. 1:09 p.m. Durant qualifies. 1:10 p.m. Durant pulls car into photo area. Billy Boat walked to the photo line to join his teammate as Foyt pulled up in golf cart. 1:15 p.m. Billy Boat, when asked what he would do if he had Foyt and Hamilton advising him after a first practice, said, "I think I'd have to listen to A.J. He IS the boss, you know." From the time Durant climbed into a car for the first time this month and the time he completed a qualification run was 52 minutes. At 1:31 p.m., Sam Schmidt in the HOPE Prepaid Fuel Card/Blueprint Racing entry had an engine problem going into Turn 3, did a three-quarter spin covering 420 feet and stopped with the nose close to the outside wall with no contact. "It just went boom!," Schmidt said. "The best thing about it was it wasn't followed by a loud crash three seconds later. Unfortunately, we had a lot of miles on the motor and we were holding our breath. About 100 yards before Turn 3, it just broke." Bumps non-exempt #9 Johnny Unser. Bumps non-exempt #90 Lyn St. James. The track went yellow for rain at 2:19 p.m.
At 2:30 p.m., USAC Chief Steward Keith Ward clarified the exemption status of #91T qualified by Buddy Lazier for Hemelgarn Racing as follows: "(Ron) Hemelgarn was under the impression if he ran #91T, that it was the same as running his primary car. He came to us after he qualified that car and he wanted that to be the exemption. The IRL and USAC discussed it and agreed the exemption should go to the #91T." Ward added that the decision was made late Saturday. Update on driver Johnny O'Connell from Dr. Henry Bock, Speedway medical director: O'Connell is in good condition following surgery on his left foot Friday. He is able to get around on crutches and will be released in the next few days. The track reopened at 3:15 p.m. after a rain and wet conditions delay of 56 minutes. Scott Harrington took the track shortly thereafter in a car numbered #36 that had been driven previously during the month by Davey Hamilton as the #14T. 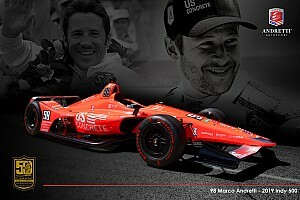 At 4:12 p.m. Saturday at FanFest, five-year-old Christopher Goodyear (son of Scott and Leslie) defeated a field of more than 15 competitors in a Mini-Indy race and had his photo taken with Affonso Giaffone. At 5:55 p.m., Scott Harrington in the #36 Johansson/Immke Motorsports entry lost control (low) at the entrance to Turn 2, slid 600 feet with a half spin to hit the outside wall with the left side, slid along the wall 270 feet, then slid off the wall backward 540 feet to a stop in the middle of the back straightaway. The car sustained extensive left side and front damage. Harrington was awake and alert and was transported by ambulance to Methodist Hospital. A total of 48 cars are now at the Speedway, 46 have passed technical inspection and 0 are in the process. 40 drivers have been on the track to date. There were 12 yellows for 2 hours, 32 minutes. At 6:23 p.m., the temperature was 84 degrees with winds out of the southwest at 18 miles an hour. STATEMENT BY LEO MEHL, VICE PRESIDENT & EXECUTIVE DIRECTOR OF IRL: "We're going to start 35 cars in this year's Indianapolis 500. We have two cars that had been bumped that had completed four-lap qualifications. We must start the fastest 33 cars, so we will add the two bumped cars, Johnny Unser and Lyn St. James. As you know, last Friday we discontinued the reserved positions for the 1998 race. In our opinion and in my opinion this is the fairest thing to do to start the fastest 33, and to do that we'll start 35. (Where does Zampedri start?) "He's where he is. He got bumped. He had a spare car and he was fortunate enough to requalify. (Clarification on criteria for being added) "You had to be in the field and do four laps. You had to be a qualified car and be bumped. We didn't want those who had qualified and were in the field to be bumped by those with reserved spots. (On decision) "This is not an easy call to make. I can't tell you if this is the fairest, truest decision, but it was decided that this was what had to happen. . . .You're looking at a situation where the fastest 33 cars weren't going to start. We just had to have the fastest 33 cars. These are tough calls to make. (On whether decision could have been made earlier) "How could anybody say what was going to happen? Who could say on Thursday or Friday.. . .how it was going to turn out? I certainly couldn't. . . At 6 o'clock we tried to do the fairest thing we could do. . . . It's been discussed since the day I got here. My concern was where we would have the situation where the fastest 33 cars wouldn't start. " Leading into the 1997 qualifications, the starting field with the greatest number of former lap leaders was the 1987 field with 19. The 1996 field had 5. The total number of lap leaders in the 1997 field is 9. Leading into the 1997 qualifications, the greatest number of previous laps led among the former lap leaders of a starting field was 3,658 in 1992. The former lap leaders in the 1996 field represented 157 previous laps led. The total number of previous laps led among the former lap leaders in the 1997 field is 282. Leading into the 1997 qualifications, the greatest number of former winners in a starting field was 10 in 1992. The 1996 field had 1. The total number of former winners in the 1997 field is 2. Leading into the 1997 qualifications, the greatest number of previous wins represented by the former winners in the starting field is 20 in 1992. The former winner in the 1996 field represented one previous win. The total number of previous wins among the former winners in the 1997 field is two. Leading into the 1997 qualifications, the greatest number of rookies in a starting field was 19 in 1919, the fewest was one in 1939 & 1979. The 1996 field had 17. The total number of rookies in the 1997 field is 13. Leading into the 1997 qualifications, the oldest driver to compete in the race was A.J. 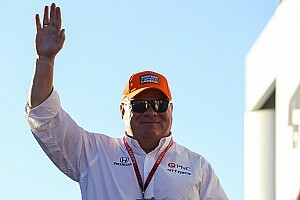 Foyt in 1992 at age 57. The oldest driver to compete in the 1996 race was Danny Ongais at age 54. The oldest driver in the 1997 field is Lyn St. James at age 50. Leading into the 1997 qualifications, the youngest driver to compete in the race was Josele Garza in 1981 at 19 years and 70 days of age. The youngest driver in the 1996 field was Michel Jordain, Jr. at 19 years and 265 days of age. The youngest driver in the 1997 field is Tony Stewart at 26 years and 5 days of age on RACEDAY. The slowest qualifier in the 1996 field was Scott Harrington with an average speed of 222.185 mph. The slowest qualifier in the 1997 field is Fermin Velez with an average speed of 206.512 mph. Leading into the 1997 qualifications, the greatest difference between the fastest and slowest qualified car in the field was 28.846 mph in 1928, the narrowest margin was 3.130 mph in 1953. The speed difference between the fastest and slowest qualified car in 1996 was 14.801 mph. The speed difference between the fastest and slowest qualified car in the 1997 field is 11.751 mph. Leading into the 1997 qualifications, the oldest rookie to compete in the race was Lyn St. James at 45 years and 72 days of age in 1992. The oldest rookie in the 1996 field was Brad Murphey at 40 years of age. The oldest rookie in the 1997 field is Steve Kinser at 41 years of age. Leading into the 1997 qualifications, the youngest rookie to compete in the race was Josele Garza in 1981 at 19 years and 70 days of age. The youngest rookie in the 1996 field was Michel Jordain, Jr. at 19 years and 265 days of age. The youngest rookie in the 1997 field is Tyce Carlson at 26 years of age. Leading into the 1997 qualifications, the driver with the greatest total of previous "500" experience to ever qualify for a staring field was A.J. Foyt with 34 previous stars to his credit when he qualified for the 1992 field. The most experienced "500" driver to qualify for the 1996 race was Scott Brayton with 13 previous Indianapolis 500 starts. The most experienced driver(s) in the 1996 race day staring field however, were Roberto Guerrero, Arie Luyendyk and Johnny Parsons with 11 previous starts apiece. 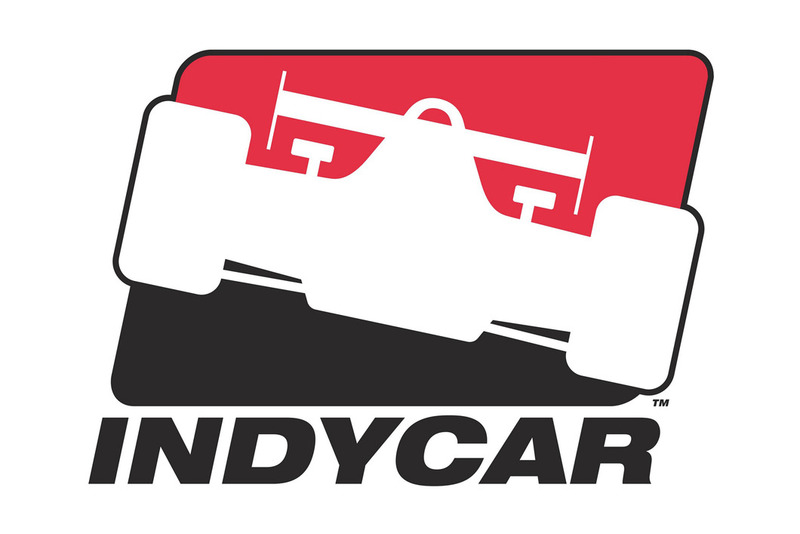 The most experienced driver(s) to qualify in the 1997 field are Arie Luyendyk and Roberto Guerrero, each of whom have recorded 12 previous Indianapolis 500 starts. The fastest qualifier in 1996 was 20th place starter Arie Luyendyk with a track record speed of 236.986 mph. The fastest qualifier in the 1997 field is pole position qualifier Arie Luyendyk with a speed of 218.263 mph which represents the track record for normally-aspirated engines. The fastest rookie qualifier in Indianapolis 500 history was Tony Stewart in 1996 with a speed of 233.100 mph. The fastest rookie qualifier in the 1997 field is Vincenzo Sospiri at 216.822 mph. The overall qualification average for the 35-car field of 1997 is 15.521 mph slower that the 33-car field of 1996. This represents the biggest drop in overall qualification speed for consecutive years. The second biggest drop occurred when the 38-car field of 1930 was 11.965 mph slower than the 33-car field of 1929. The 8th Row in the 1997 field is represented by rookie drivers Billy Boat, Sam Schmidt and Billy Roe. This is the first all rookie starting row since 1985 when Ed Pimm, Raul Boesel and John Paul, Jr. started in the 8th Row. Tony Stewart is starting the 1997 race from the 2nd position. The last driver to win from the middle of the first row was Mario Andretti in 1969. The 1996 starting field consisted of 17 first year starters, the 1997 starting field consists of 13 first year starters, for a combined total of 30 first year starters. This is the most number of combined starters in consecutive years since 1930 and 1931. There were 19 first year starters in the 1930 field and 12 first year starters in the 1931 field. Steve Kinser has the distinction of taking his first driver's test at the Speedway along with Bob Lazier in 1981 and competing in his first Indianapolis 500 this year along with Bob's son, defending winner Buddy Lazier. Update on driver Scott Harrington at 7:30 p.m. from Dr. Henry Bock, Speedway medical director: He is undergoing scans at Methodist Hospital. He is awake and alert and has no complaints. Depending on the results of the scans, he may be kept overnight.